Eddy Fish aka The Fisherman didn't get his nickname from having the freshest produce. The 20-something year old rapper, gained notoriety from being one of the biggest drug distributors in Boston, with the best product for a great price. By keeping the streets supplied, the (fish)scales leaned in his favor. As we know, all good things come to an end and after a great reign in Boston, the police caught up with The Fisherman, and he eventually gave up the life of trapping for a life of rapping. 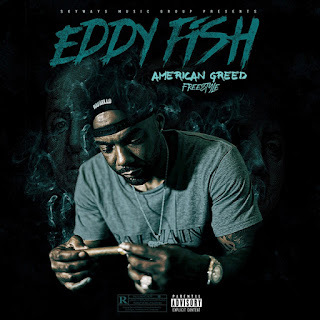 In his "American Greed" freestyle, Fish reflects on his times in the streets and what he means to Beantown.